Tell The FDA That Cherries—And Now Walnuts—Are NOT Illegal Drugs! Has the FDA lost its mind–again? In other words, if you say that a food is healthy and may help protect against heart disease, or ease arthritis or inflammation, your words have magically changed that food into a drug, and that’s illegal. 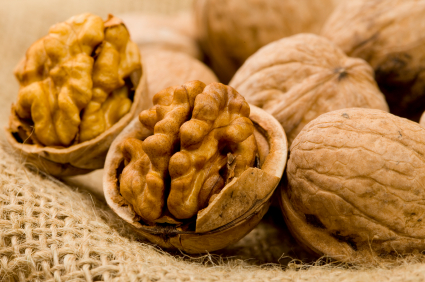 Life Extension magazine has published no fewer than fifty-seven articles that describe the health benefits of walnuts, each article supported with copious scientific references. Yet the FDA says the walnuts “are not generally recognized as safe and effective,” that the manufacturer’s “unauthorized health claims” have caused the walnuts to become “misbranded,” which makes them subject to government “seizure or injunction”! There is a sharply reduced incidence of heart disease in those who consume walnuts. Walnuts provide a unique blend of polyunsaturated fatty acids (including omega-3s), along with nutrients like gamma tocopherol that have demonstrated heart health benefits. Even moderate consumption of walnuts offers significant reductions in dangerous LDL cholesterol and improvement in the lipoprotein profile. Walnuts protect against coronary artery disease and atherosclerosis because they contain key nutrients like arginine, polyphenols, and omega-3 fatty acids. The National Library of Medicine database contains no fewer than thirty-five peer-reviewed published papers supporting a claim that ingesting walnuts improves vascular health and may reduce heart attack risk—yet the FDA, the federal agency responsible for protecting the health of the American public, would apparently rather support pharmaceutical manufacturers’ rights. Imagine what would happen to drug profits if everyone ate walnuts for heart health instead of taking expensive medications! These latest FDA outrages are on top of an earlier attack on cherry growers. In that case, the cherry growers cited excellent scientific research from places like Harvard indicating that cherries reduce inflammation and pain. The FDA sent an injunction letter threatening the usual legal penalties—including jail—if this truthful dissemination of scientific research did not stop immediately. What is the FDA thinking? Why is it blatantly disregarding its own mission of educating the public and promoting health? Why is it acting like an ignorant bully? Potato Chips . . . as Health Food? Faloon points to Frito-Lay, a subsidiary of the food and softdrink giant PepsiCo, makers of Pepsi-Cola®, as an example of the strange double standard the FDA seems to be applying. Frito-Lay sells $12 billion a year of products that include Lays® Potato Chips, Doritos®, Tostitos®, Cheetos®, and Fritos®. Frito-Lay snacks start with real farm-grown ingredients. You might be surprised at how much good stuff goes into your favorite snack. Good stuff like potatoes, which naturally contain vitamin C and essential minerals. Or corn, one of the world’s most popular grains, packed with Thiamin, vitamin B6, and Phosphorous—all necessary for healthy bones, teeth, nerves and muscles. And it’s not just the obvious ingredients. Our all-natural sunflower, corn and soybean oils contain good polyunsaturated and monounsaturated fats, which help lower total and LDL “bad” cholesterol and maintain HDL “good” cholesterol levels, which can support a healthy heart. Even salt, when eaten in moderation as part of a balanced diet, is essential for the body. As our regular newsletter readers are aware, on March 23 a bipartisan bill was introduced into the House of Representatives called the Free Speech about Science Act (HR 4913). This landmark legislation, promoted by ANH-USA, protects basic free speech rights, ends censorship of science, and enables the natural health products community to share peer-reviewed scientific findings with the public. The public, on the other hand, wants access to credible information they can use to make wise dietary choices. Please don’t let special interests stop this bill. Take action now and ask your Representative to cosponsor the Free Speech About Science Act (HR 4913). We also have a new Action Alert for you. This one will let you contact Congress to express your outrage about the FDA’s censorship of the scientific evidence supporting the health claims surrounding walnuts (and green tea, and pomegranates, and cherries!). It will also let you tell the FDA what you think about their hypocritical support of deep fried potatoes and corn chips as being “heart-healthy,” while denouncing the scientific evidence of walnuts’ health benefits. Please take action today and write to the FDA and your members of Congress! If possible please send in both letters, one supporting the Free Speech About Science Act and the other expressing your opposition to the FDA’s outrageous attack on walnuts (not to mention cherries, green tea, and other natural products). We need to hammer home our message in defense of free speech, common sense, health freedom, and natural health.